Nestled in the heart of the Canadian Rockies, and situated on three acres of land, this 224-room Radisson Hotel and Conference Center in Canmore is surrounded by spectacular mountain views. The Canmore Radisson Hotel's close proximity to many winter tours and activities in Canmore, make it a suitable location for a winter getaway. 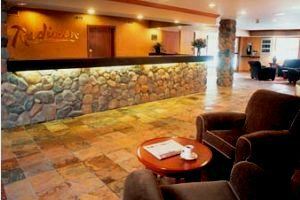 This Canmore hotel can accommodate up to 800 for private group functions. The Canmore Radisson Hotel also features their unique "Sleep Number®" bed offering complete flexibility in comfort. The Sleep Number® bed allows you to adjust mattress firmness to your exact preference. All Sleep Number® bed Guest Rooms are located in the main lodge building.